Qualifying Free Shipping Items Within USA Only. CLEARANCE SALE Spring Summer 2019 Collection! Tally Taylor Spring Summer 2019 Collection! Free Shipping! Lily & Taylor Spring Summer 2019 Collection! Free USA Shipping! 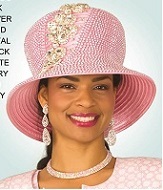 Women Church Hats Spring & Summer 2019 Collection! Donna Vinci Italy Spring Summer 2019 Collection! Free Shipping! 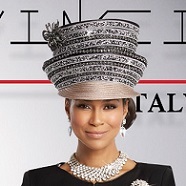 Donna Vinci Women Church Hats Spring Summer 2019 Collection! Donna Vinci Knits Spring Summer 2019 Collection! Free Shipping! 15% OFF Liorah Knits Collection! + Free USA Shipping! 15% OFF Kayla Knits Collection! + Free USA Shipping! Terramina Spring Summer 2019 Collection! Free Shipping! Susanna Spring 2019 Collection! Free Shipping! Ben Marc Spring Summer 2019 Collection! Free Shipping! Annabelle Spring 2019 Collection! Free Shipping! Aussie Austine By Champagne Italy Spring Summer 2019 Collection! Chancele Dresses Spring Summer 2019 Collection! Lisa Rene Spring Summer 2019 Collection! Love The Queen Spring Summer 2019 Collection! Tesoro Moda Premium Denim Spring Summer 2019 Collection! Dorinda Clark Cole DCC Spring Summer 2019 Collection! Giovanna Signature Suits & Dresses Spring Summer 2019 Collection! Elite Champagne Spring Summer 2019 Collection! Champagne Italy Spring Summer 2019 Collection! Giovanna Usher Suits & Uniforms Spring Summer 2019 Collection! Ben Marc Executive Spring/Summer 2019 Collection! Devine Denim Sport Spring Summer 2019 Collection! Dresses By Nubiano Spring Summer 2019 Collection! GMI Church Suits Spring Summer 2019 Collection! Tally Taylor Madame 2018 Collection! Lily & Taylor 2018 CLOSEOUTS! Fifth Sunday Summer 2018 PRICE DROP! For Her NYC African Inspirations Summer 2018 Collection!